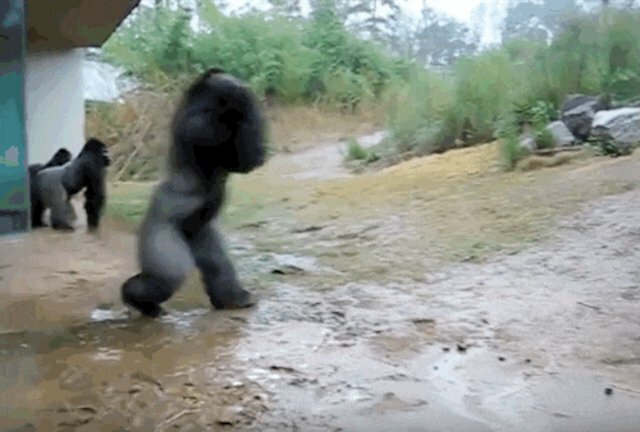 This gorilla might be covered in hair, but he still doesn't want his head to get wet. 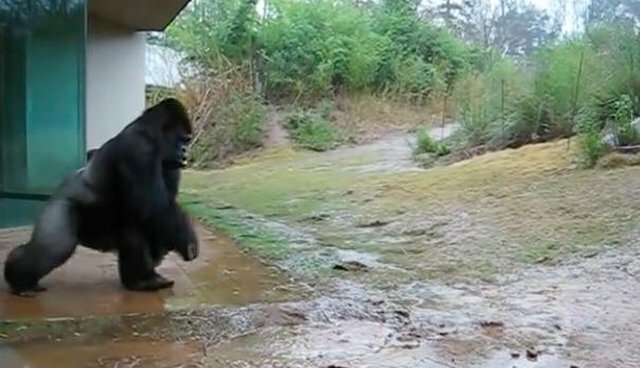 An older video shows a gorilla named Kimya staring out at the rain from a covered patio. He watches his friends happily dash out through the downpour, but Kimya's still not sold. However, he knows there's lettuce lying on the rock a few yards away - and he wants it. So he stands on two feet and runs out to grab it - while using his hands to keep the pesky raindrops off his head. The video poster describes the scene as Kimya's "typical 'rainy-day' behavior." It's not certain where the video was taken, but the location is likely Riverbanks Zoo in Columbia, South Carolina. If that's the case, Kimya sadly passed away in 2010 at the young age of 16. 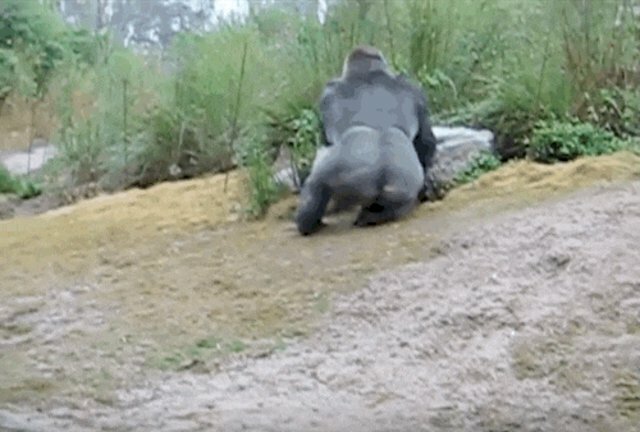 But this video stands as a reminder of just how similar we are to these animals - even in our idiosyncrasies.